low-cost airline Archives - Build the Brand. Protect the Brand. A funny thing happened to me when recently researching airfares for an upcoming trip. While looking at cross-country flights on Southwest Airlines for a route that I have flown dozens of times over the past two years, I noticed a price I had not seen so low in years. Not marginally lower, but 33 percent lower. Surely it wasn’t a typo. Nor was it simply Southwest Airlines’ attempt at being charitable. So what is the explanation? After doing some more research, I learned that Frontier Airlines recently announced it would begin servicing the exact route I was researching, beginning in the fall. Obviously, the additional competition caught Southwest Airlines’ attention, which, in turn, caught my attention. As any frequent traveler knows, unless you’re flying short flights to undesirable destinations, Southwest Airlines is no longer the “low-cost” carrier that propelled it to widespread success and adoration. In fact, I often find it among the most expensive options when searching for flights. This, of course, flies in the face of its advertising and endless email bombardment – but I suppose that’s an entirely different gripe. Point is – despite the grief capitalism gets from folks such as Bernie Sanders – it does sometimes work perfectly. Why do you think we’re no longer paying $700 for microwaves or $599 for Blu-ray Disc players? More consumer options create competition, which puts pressure on an assortment of variables, chief among them, price. 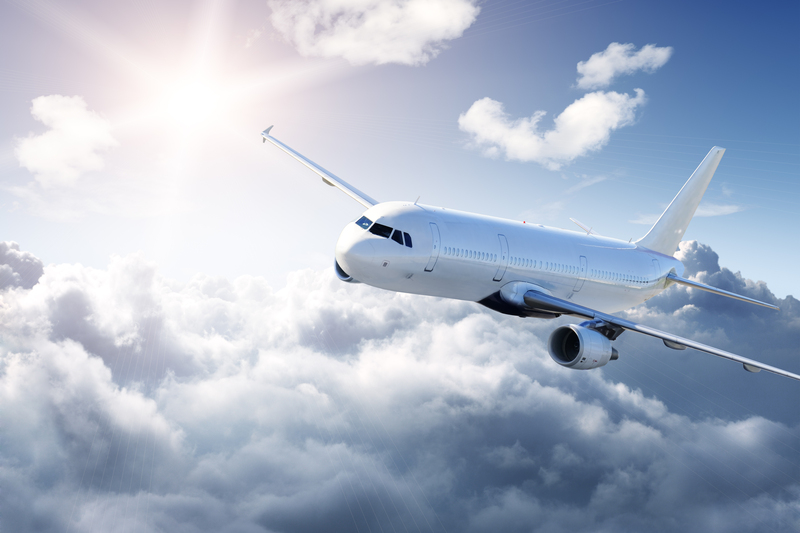 The airline industry is no different, although it is a very precocious industry with fewer choices than home electronics or automobiles or just about anything else. After all, the price on entry is tremendous and operations are significantly challenging. Yet, above it all, one thing remains true − more airline/flight options translate into lower costs for consumers. This is how low-cost carriers such as Frontier, Allegiant and Spirit airlines are disrupting the industry and providing consumers with more choices, lower costs and more empowerment. Additionally, as consumer technology and customization have changed consumer perceptions, expectations and purchase habits, the low cost carriers seem to be ahead of the curve with their business models. To be clear, the major carriers still vastly dominate schedules and routes due to overall fleet size. While Frontier, Allegiant and Spirit are all growing in size, their fleet sizes still pale in comparison. Each of the low-cost airlines has a fleet around or under 100 planes. Compare that to the size of Southwest Airlines (704) or Delta Airlines (1,426) and it’s easy to see why the little guys are still considered little. Very little. Yet, consumers are clearly catching on. Frontier Airlines’ net income rose tenfold from 2013 to 2014. Allegiant Air quadrupled from 2014 to 2015. And Spirit Airlines saw net income growth of 79 percent from 2013 to 2015. The most common criticism of low-cost carriers is the “nickel-and-dime” approach they have with fees. It is commonplace for these carriers to assess fees for select seats, baggage and even carry-on bags. For consumers not informed or expecting this, it is seen as excessive and tawdry. However, there are two realities associated with this: the new normal and consumer empowerment. Airline fees have become the norm. We were asked to feel sorry for major airline carriers when the cost of oil skyrocketed a few years back, causing them to saddle consumers with baggage fees. Yet, when oil prices tumbled to their lowest level in decades, the airlines forgot to raise their hand and inform us these fees were being taken away. Excluding Southwest Airlines, baggage fees are standard across the industry. And the latest JD Power report confirmed that American consumers have given up fighting them – and have become accepting of airline fees. Even fees for seating choices have become more prevalent. If you think the low-cost carriers are the only airlines charging fees for seat selection, you haven’t flown American Airlines recently. Flying a red-eye from Las Vegas to Miami, I was presented with additional fees for my seating options. Wanting to sleep on the cross-country, red-eye flight, I paid $37 (each way) for a window seat in the middle of the plane. Want extra legroom and to be closer to the aisle? That will cost an additional $58. This is why I am dumbfounded when I hear, read or see these types of nickel-and-dime fees being groused at regarding the low-cost carriers. They exist elsewhere. And they are higher than the $12 lowest fee charged by Frontier Airlines. With the low-cost carriers, consumers are able to purchase lower fare tickets and then make their own decisions on how much more they want to spend. Here’s an example of how simple this is for me: looking for nonstop service for a trip August 25–28 from Las Vegas to Orlando, a round-trip ticket on Frontier Airlines was $215.10. A similar itinerary on Southwest Airlines was $419.96. That is a difference of $204.86, or 95 percent. Even once I pay for a seat ($12) and choose to check two bags ($70), there is still a difference of $122.86. But what if I don’t need to check two bags? What if I’m visiting a summer home stocked with clothes and don’t need to check a bag at all? Instead of having inflated costs and the illusion of “free bags” stuffed into my Southwest Airlines ticket cost – I get to make my own decisions. And in my opinion, that is the point with these low-cost carriers. Consumers are more in control of their final costs, and it doesn’t take much to avoid excessive fees. On a trip last fall with my two children, we chose a low-cost carrier and approached it with minimal intelligence. We checked one large suitcase, instead of three smaller ones. We selected standard seats. We also packed snacks and iPads into our backpacks for the plane ride, as “personal bags” are free, while carry-on bags result in a fee. The result? Overall ticket costs that were more than 60 percent lower than they would have been any other major carrier. To be sure, these low-cost carriers have work to do. Customer-service scores rank low on Frontier. Spirit is the worst in the industry for on-time arrivals. And Allegiant has been questioned regarding the age of its fleet. But each of these airlines seems genuinely committed to improving on these marks. In addition, Frontier recently announced 42 new routes and Allegiant has plans to purchase newer Airbus planes. But the larger point is that these airlines are a net positive for an industry that hates competition (see: domestic carrier open skies agreement) and is slow to provide customers with the type of service we expect from other industries (imagine showing up for a salon appointment and being told there is a three-hour delay and switching to a different time will result in a $100 change fee and the difference in cost of the new stylist?!). Consumer empowerment and more choices are a benefit to all of us. After all, that is the hallmark of capitalism. It’s also why you can purchase a Sony Blu-ray Disc player at Best Buy for $34.99 + tax. Disclosure: R&R Partners has a current affiliation with Allegiant. © Copyright 2016 R&R Partners. All Rights Reserved.